We're profiling some of our Account Managers so you can get to know them a bit better! First up is Forestry Account Manager Dave from Opotiki. How did you end up working in the Forestry industry? When I left high school I joined the NZ Army and stayed there for eight years. 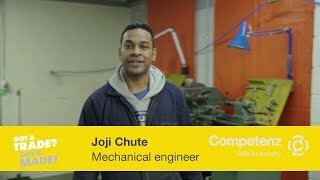 During that time I completed an apprenticeship and left as an A-grade Automotive Engineer. With that qualification I spent the next seven years working in a number of workshops. Then I joined the NZ Police for 11 years as a front line Police officer, youth aid worker (working with young people and care givers) and then in the search and rescue team. When I left the NZ Police, I became an apprentice coordinator helping apprentices meet their goals and complete their training successfully. I worked with different trades such as mechanics, spray painters, panel beaters, fitter turners, fitter welders, fabricators, engineers, and builders. I also worked with Competenz account managers. 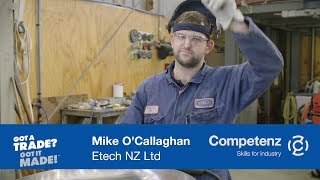 After a 4 year break from helping apprentices I starting working for FITEC (the previous industry training organisation before merging with Competenz). I got the job because I understood unit standards and how the different training programmes were put together, and I’m still here today! I’m responsible for checking training plans, organising assessors – everything is around training and assessments – there’s a lot of paper work! I try to organise at least two field trips into the bush each week – which usually creates more paper work – but I enjoy catching up with the contractors, apprentices and trainees. They are great people – down to earth, easy to talk with, and I enjoy being around them. There are a lot of skilled workers in our industry. They work long hours but are focused on working safely and looking out for each other. Sadly we don’t hear enough of the good stuff that happens in our industry through the media. Working out with friends (cross-fit training, gym workouts and events), mountain biking on different tracks around the country, as well as at home in Opotiki, Ohope and Rotorua. Fishing and diving around the coast and spending time with my mokopuna (this is probably the most enjoyable because I can give them back at the end of the day).